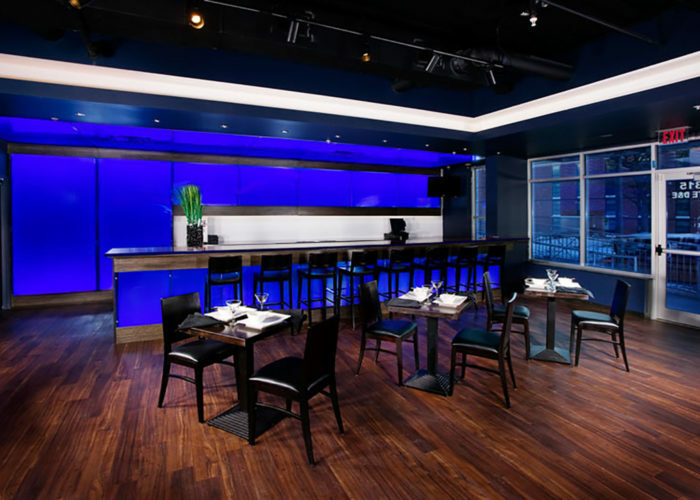 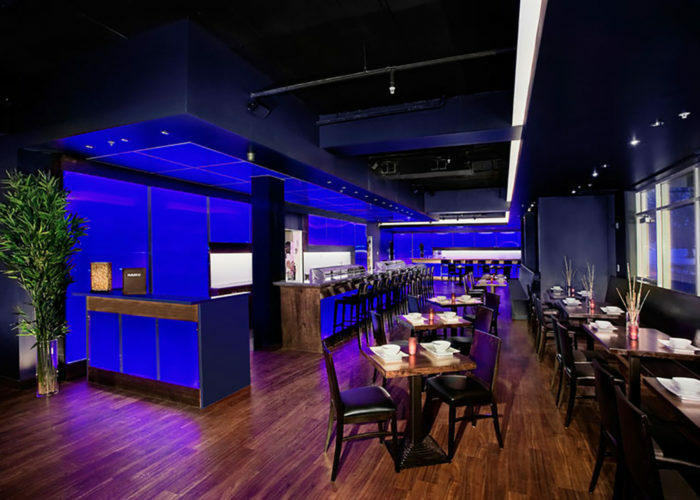 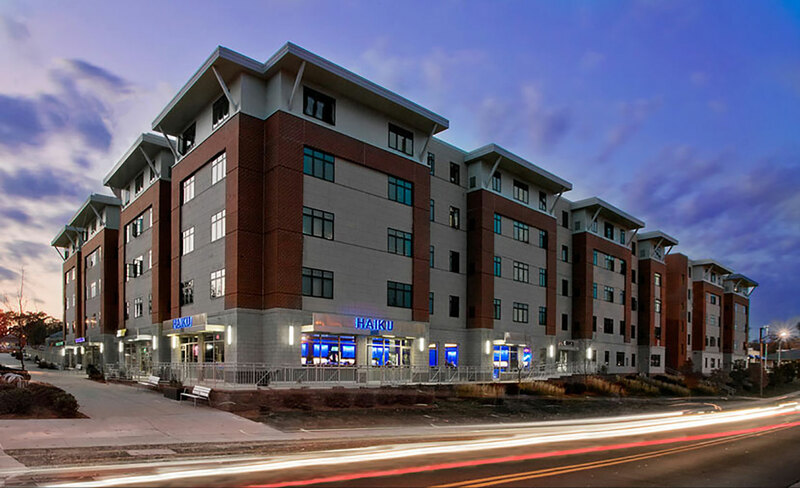 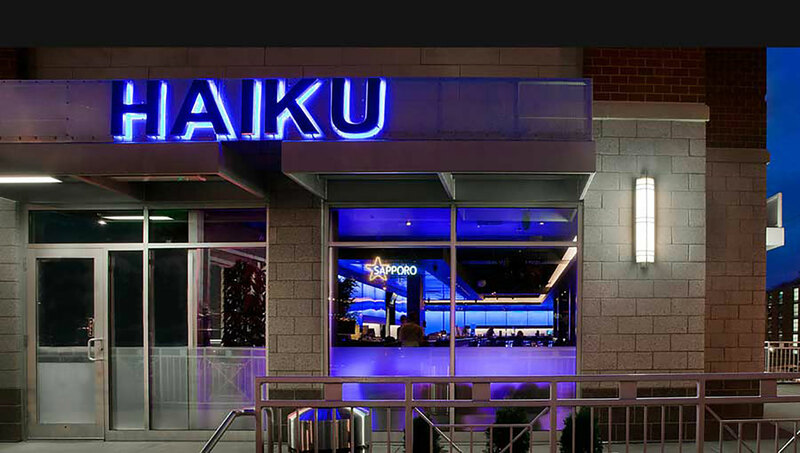 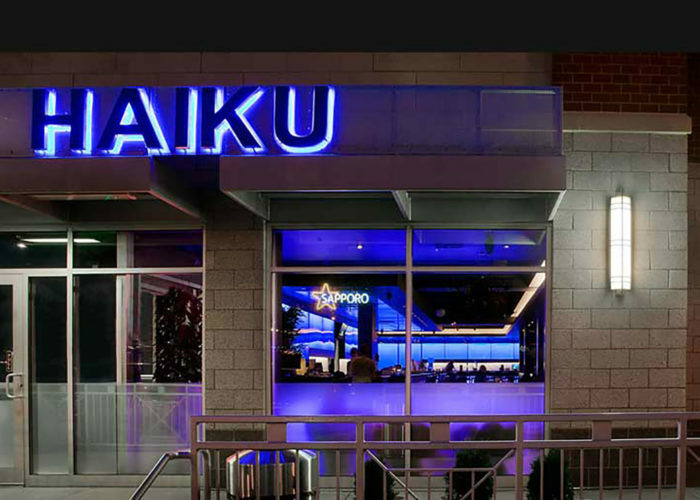 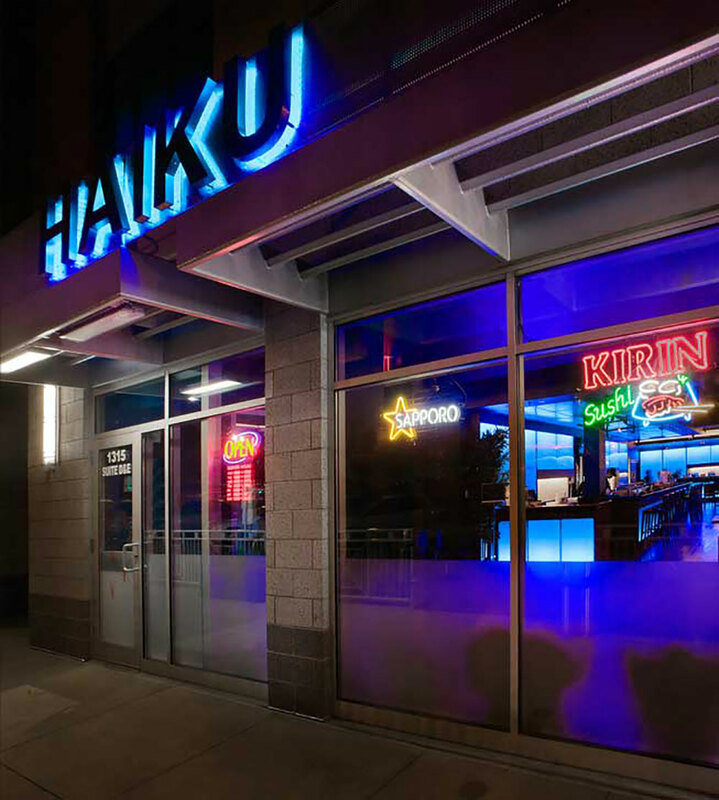 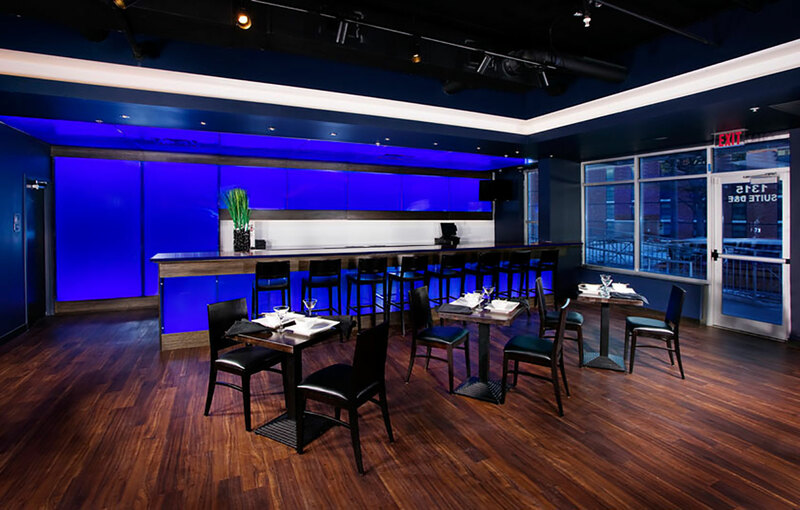 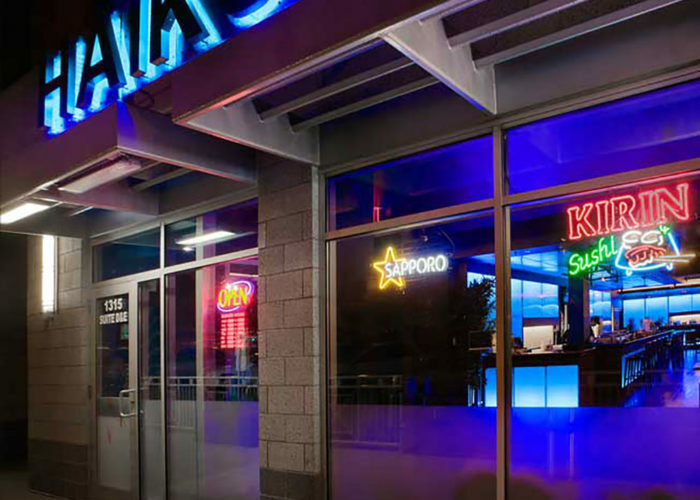 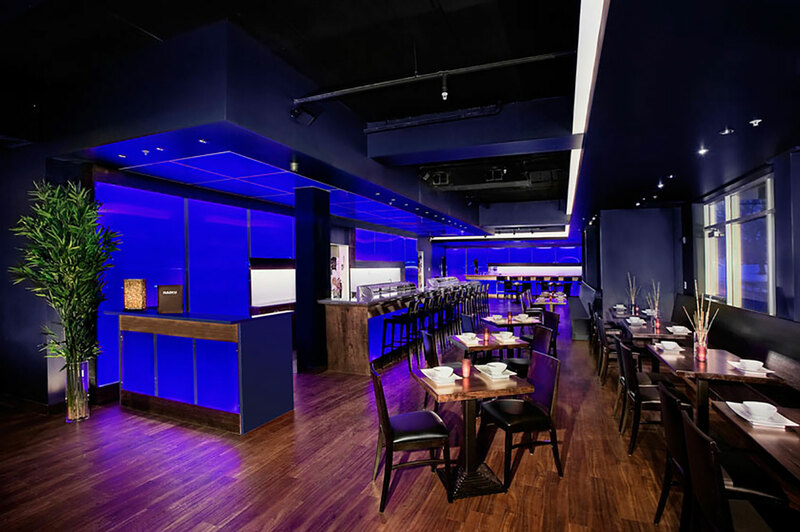 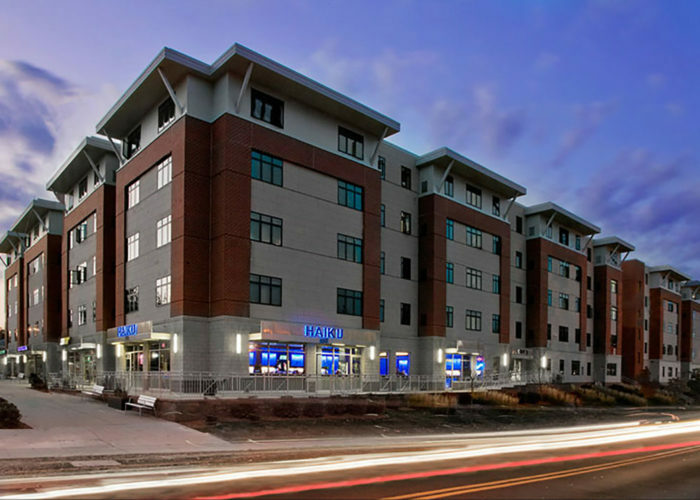 Haiku, an Asian fusion restaurant, is located in one of the retail spaces created as part of the FEH designed Drake West Village student housing on the campus of Drake University. 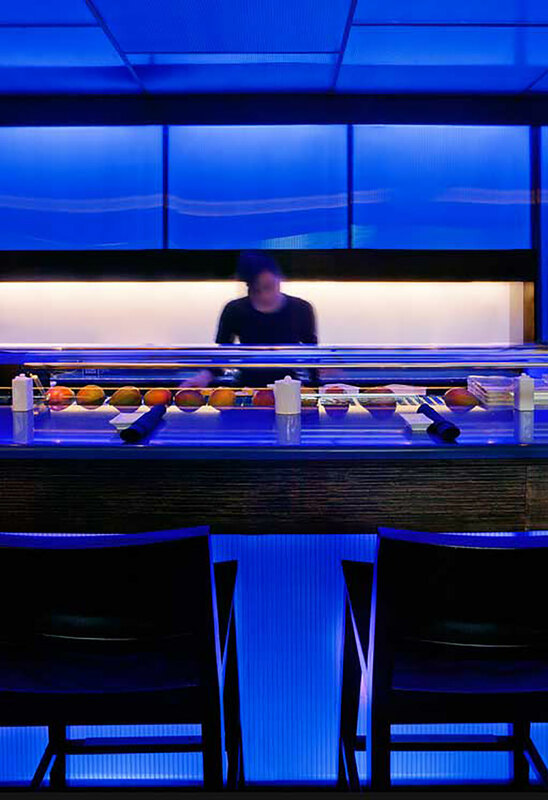 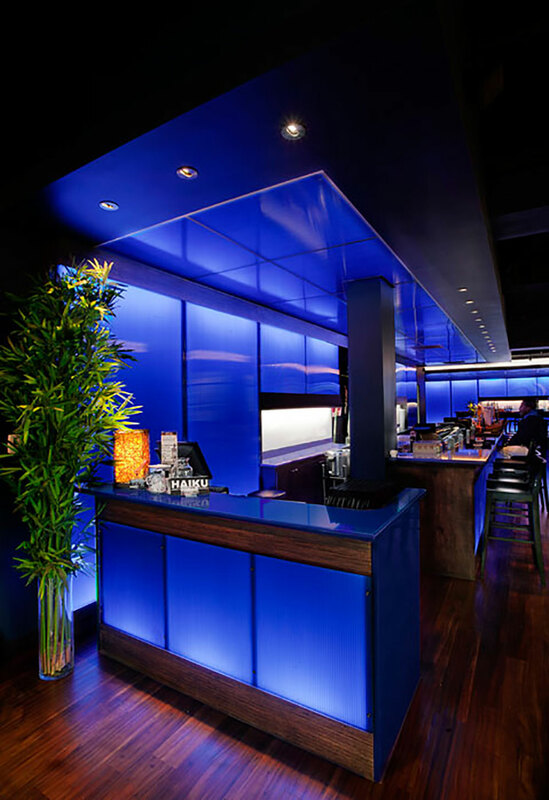 The owner of Haiku challenged the FEH team to design a space that would be minimally modern with a blue glow. 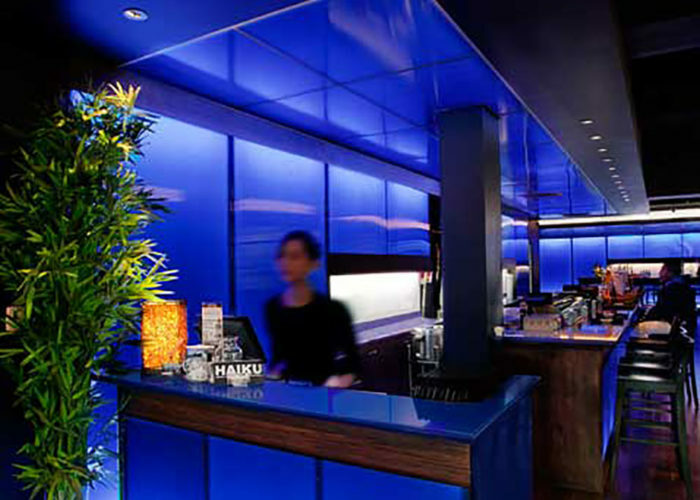 The interior finishes were carefully selected for their beauty, timelessness, durability and ease of maintenance. 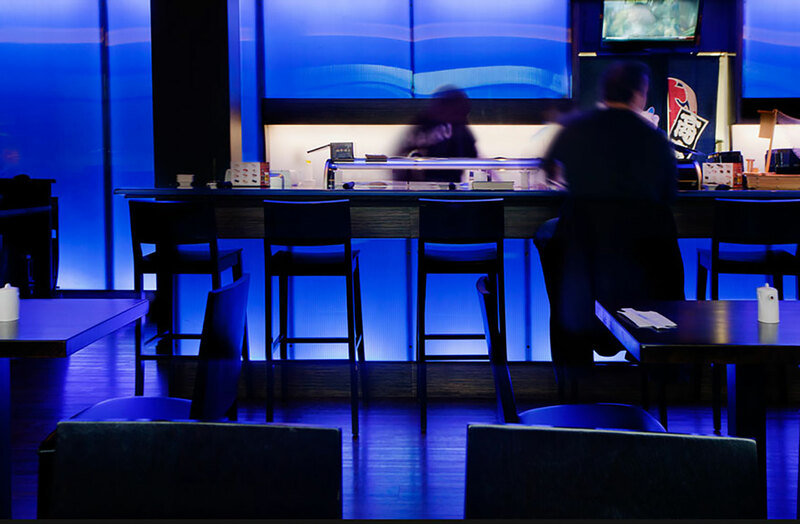 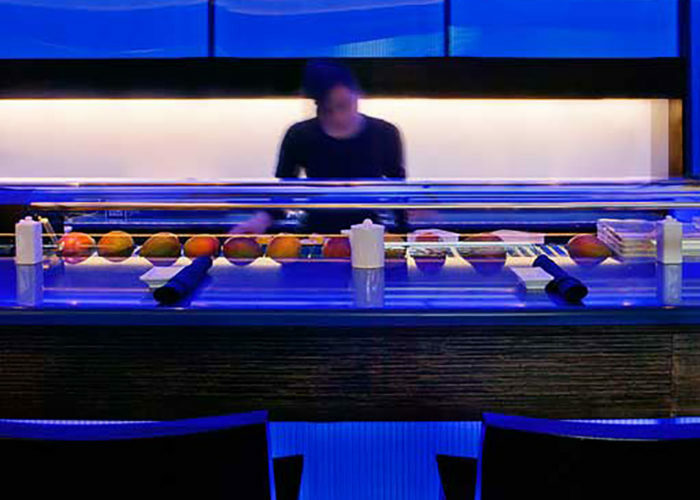 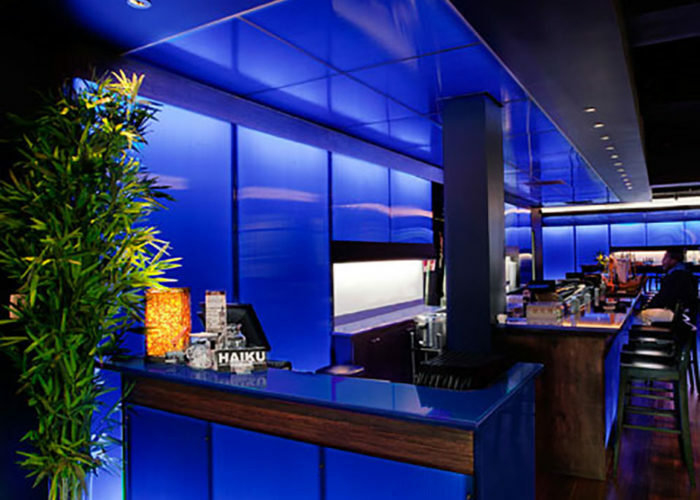 The lighting concepts for the space included sheathing the walls and bar in removable polycarbonate panels back lit with blue LED lighting so that the restaurant literally glows blue through the large expanses of exterior glass.